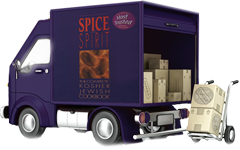 ★ Acclaimed as "The World's Most Trusted Kosher Cookbook"
★ A classic in Jewish homes around the world. ★ Celebrated by chefs, cookbook authors, and food columnists. 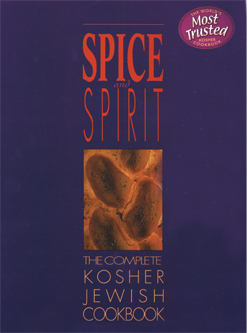 …among Jewish connoisseurs of fine cooking, Spice and Spirit is a real find. Not merely an excellent cookbook, it's a kosher kitchen bible, a fine read on Jewish culture and traditions, Jewish law and customs.